Mindfulness allows Portland's Erica Bartlett to lose 130 pounds by changing her relationship to a beloved family recipe. 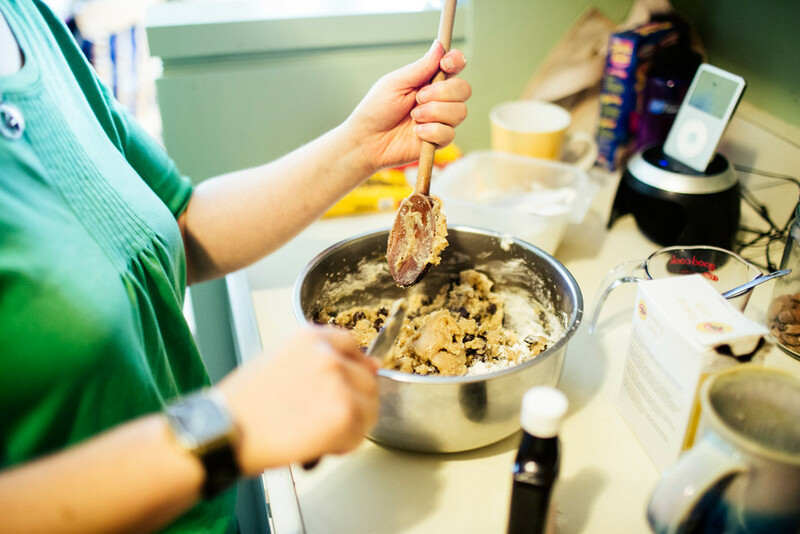 In the pantheon of American treats, homemade chocolate chip cookies hold a sacred space. They are everywhere – in the office, at picnics and parties, in our cookie jars after an afternoon of baking. 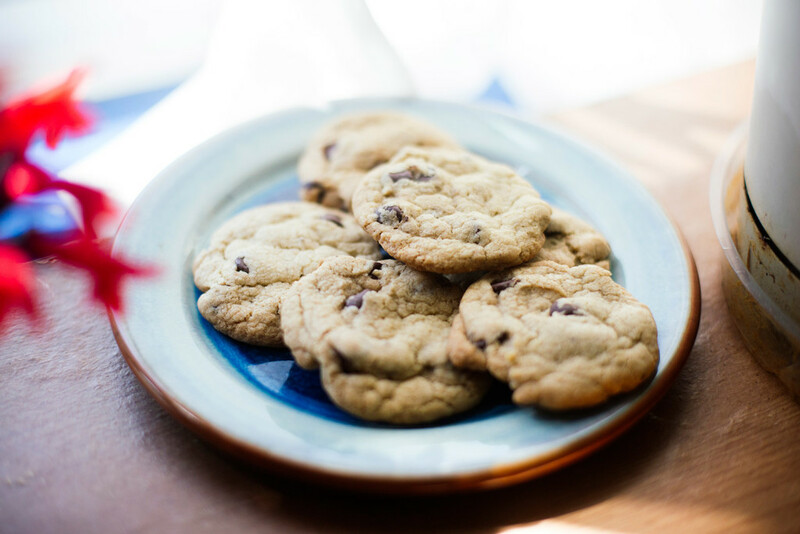 Stumble to the fridge for a glass of cold milk on some insomnia-racked night, and you’ll hear chocolate chip cookies calling to you from the cupboard. They seem so darned wholesome. That is, until you start trying to lose weight. Then they become that thing you can’t have. They set up shop in the back of your mind and refuse to hang the “closed” sign until you give in. They toy with your emotions and, like a good therapist, bring up all your childhood issues. They take a sledgehammer to your willpower. 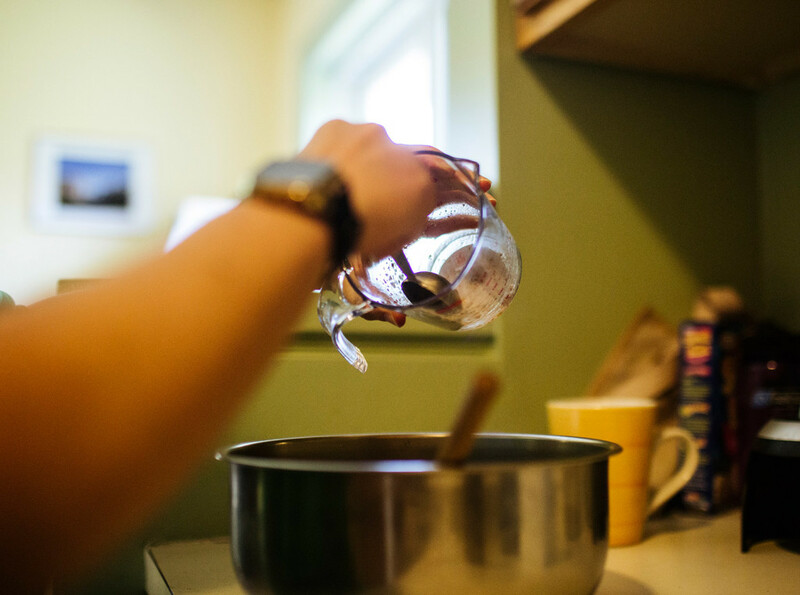 This is the story of how one woman took a beloved family recipe – for her father’s chocolate chip cookies – and transformed her relationship with it from one of shame, anguish and pain. It’s the story of how Erica Bartlett lost 130 pounds, made peace with her body and learned to eat cookies again. At age 10, Bartlett climbed Mount Katahdin with her parents and older brother. It was a family tradition that was especially important to her mother, Polly, who was worried about weight gain because she was terrified of getting diabetes. Polly had watched both her grandmothers suffer from complications of the disease. But the next year Bartlett hit puberty and gained 20 pounds. This time, the mountain defeated her. Like most kids, Bartlett liked cookies – especially her father’s chocolate chip cookies. A former baker, he tweaked the classic Toll House recipe by melting the butter and mixing the dough by hand. But as she reached her teenage years, Bartlett was ashamed to eat even just one cookie in front of her family for fear they’d judge her. Anger began to stir inside her as well because she felt her parents were giving her mixed messages: It was OK for her father to eat cookies and gain weight, but not for her. Her brother got chocolate in his Easter basket, while she got sugar-free candy and a book. Over the next couple of years she gained another 20 pounds. When she turned 13, her parents made her go to Weight Watchers. She initially lost weight on the program, but then she hit a plateau, got discouraged and gained all the weight back – and then some. She tried Weight Watchers twice. She tried a yeast-free diet. Her mother bribed her, offering to buy her new books if she would exercise. Nothing worked. By the time she was 16, Bartlett weighed 200 pounds. The year she graduated high school, the scale read 240. At her heaviest, in her mid-20s. she weighed 259 pounds. 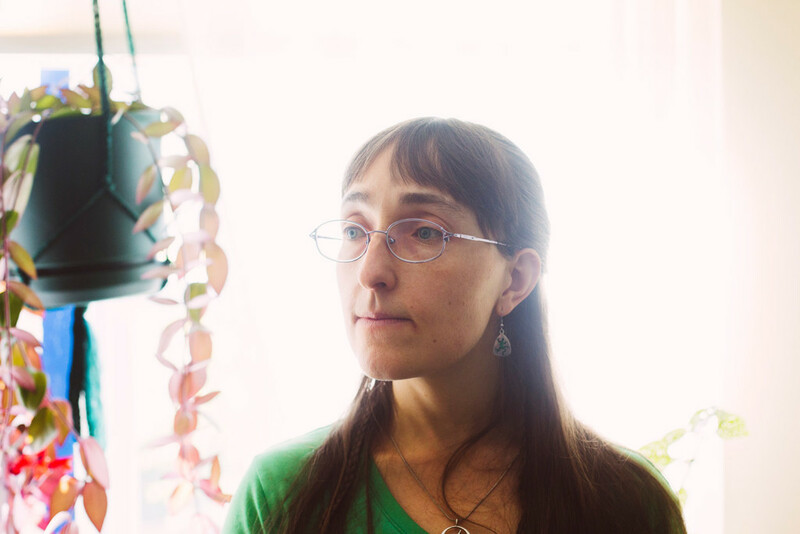 Over the years, Bartlett, now 39 and a resident of Portland, has grown to understand what was going on inside her that made her overeat. Bartlett, who works for a software company and is single, took a “mindful approach” to losing weight. She ate only when she was hungry and stopped when she was full. No food – not even chocolate chip cookies – was off limits. Instead, she began practising portion control. She’d eat one chocolate chip cookie instead of four. And she allowed herself to enjoy the occasional birthday cakes and other sweets that came into her office. “Giving myself permission to have some of it made it much easier to stop,” she said. She also started walking a lot. One of her regular routes took her through Evergreen cemetery in Portland, past the late Gov. Percival Baxter’s headstone. It was a reminder of her second goal after losing weight: climbing Mount Katahdin again, in honor of her mother. Gradually, Bartlett began to understand some of the behaviors that had led her to overeat. She’d find herself reaching for food and then realize she wasn’t even hungry. Often, “especially in that first year after my mom died,” she said, stress, grief or loneliness drove her to eat. Over two and a half years, Bartlett lost 130 pounds. She has kept it off for 12 years. In 2003, the year she reached her goal weight, Bartlett climbed Katahdin, where she scattered some of her mother’s ashes. Bartlett still makes her father’s chocolate chip cookies, most recently to test out her new stove. She keeps some for herself but gives most of them away – to her 12-year-old nephew and other family and friends. 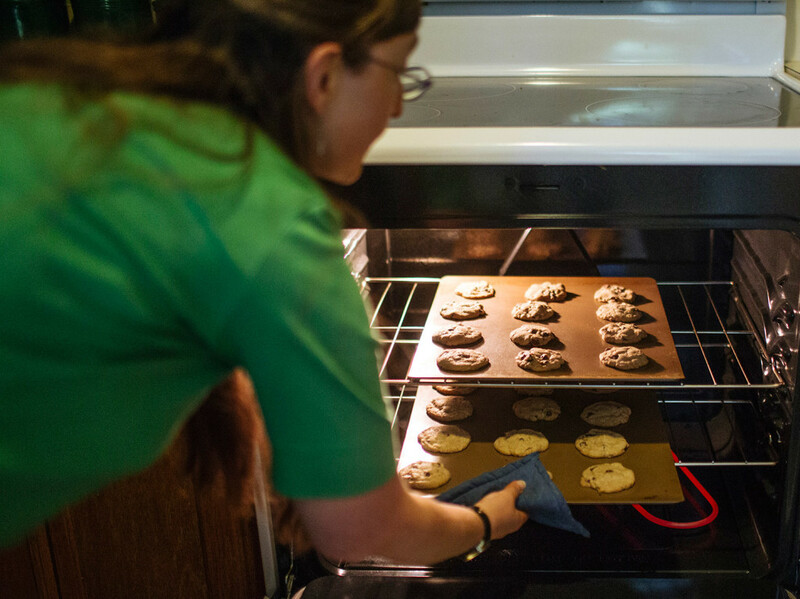 Just the act of baking the cookies – and smelling them in her home for the rest of the day – gives her the comfort she used to get from eating them. In the dedication, she thanks her father for his chocolate chip cookie recipe.